Our Baby and Child Care section includes the best baby care products for baby comfort and baby needs. Your baby is your world, and we know that you want the best for him/her. At Surrey Natural, we strive to serve our customers with unique and useful products. You can buy these for your own baby or you can even give them to a relative or a friend who has a baby. We know you want nothing less than the best for your child, and when we select products for our store, we only chose the highest quality brands. We even carry natural baby care products for the naturalist who avoids chemicals. 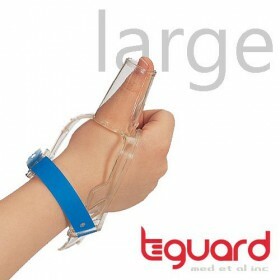 Take a look at the thumb guards we have to break your child’s thumb sucking habit. While some kids quit on their own, others could use the help. As always, safety is always first children’s products, and we guarantee that. Waterproof organic cotton cover - luxurious organic cotton fabric with a clear 100% polyethylene foo..
No Bitter, Foul Tasting Liquids to make your children sick! Use the trusted, pain-free solution, ..